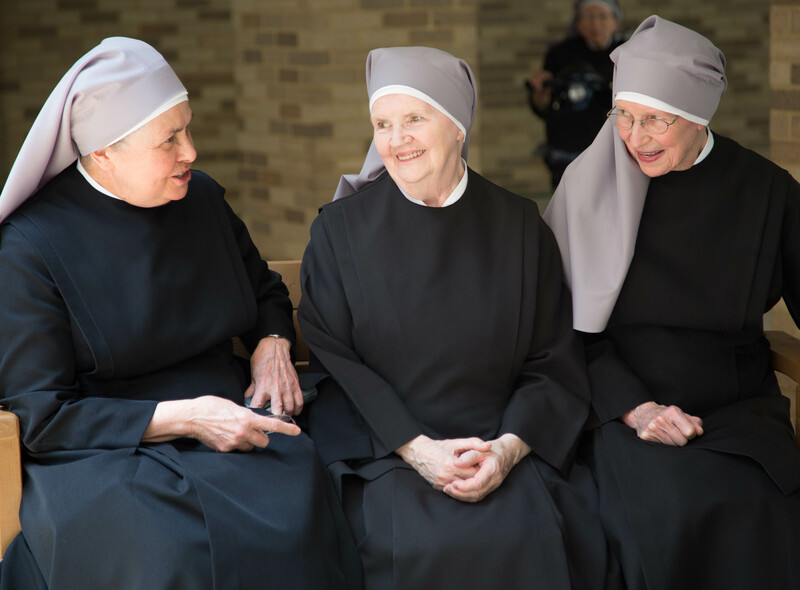 Despite a 2016 victory at the U.S. Supreme Court, an Executive Order, and a new rule that protects the Little Sisters of the Poor and other non-profit religious groups from the unconstitutional HHS mandate, the Little Sisters are still in court. In November 2017, after the federal government issued their new rule protecting religious groups from the mandate, the Commonwealth of Pennsylvania and several other states sued in federal court to take away the nuns’ hard-won religious exemption. Becket intervened on behalf of the Little Sisters, arguing that the states have no right to challenge the new rule. Oral argument was held on March 23, 2018 to decide whether the Sisters will be allowed to intervene in the case, and on April 24, 2018, the Little Sisters’ motion for intervention was granted. On January 14, 2019, the court ruled against them – a decision which the Little Sisters immediately appealed. The Third Circuit is scheduled to hear oral argument in May 2019. Commonwealth of Pennsylvania v. Trump. The Becket Fund for Religious Liberty (n.d.). Retrieved from https://www.becketlaw.org/case/commonwealth-pennsylvania-v-trump/. Commonwealth of Pennsylvania v. Trump. (Apr. 04, 2019). https://www.becketlaw.org/case/commonwealth-pennsylvania-v-trump/. "Commonwealth of Pennsylvania v. Trump." The Becket Fund for Religious Liberty. Accessed [Apr. 04, 2019]. https://www.becketlaw.org/case/commonwealth-pennsylvania-v-trump/. On October 6, 2017, Health & Human Services issued a new rule with an updated, broad religious exemption that finally protected religious non-profits like the Little Sisters of the Poor, a group of Catholic nuns who care for the elderly poor. In its new rule, the government admitted that it broke the law by trying to force the Little Sisters and others to provide services like the week-after-pill in their health plans that violated their religious beliefs. That result should mean that the end is near for the Little Sisters’ lawsuit. However, following the new mandate announcement, the state of Pennsylvania sued the federal government to take away the Little Sisters’ religious exemption. Pennsylvania admits that it already has and already uses many government programs to provide contraceptives to women who need them. Pennsylvania never challenged the Obama Administration for creating much larger exceptions for secular corporations—exceptions that covered tens of millions more people than the religious exemption. Pennsylvania does not even have its own contraceptive mandate at all. And Pennsylvania’s lawsuit does not identify a single real person who previously had contraceptive coverage but will lose it because of the new Rule. Despite all this, Pennsylvania is asking a judge to order that the Little Sisters must comply with the federal mandate (not a state mandate) or pay tens of millions of dollars in fines. In November 2017, Becket intervened on behalf of the Little Sisters of the Poor in California and Pennsylvania. The Pennsylvania court refused to let the Little Sisters intervene in the case, or even argue in court. A week later, the Pennsylvania court temporarily blocked the new rule that gave the Little Sisters a religious exemption. Becket immediately appealed both rulings. Oral argument was held on March 23, 2018 to decide whether the Sisters will be allowed to intervene in the case, and on April 24, 2018, the Little Sisters’ motion for intervention was granted. On January 14, 2019, the court ruled against them – a decision which the Little Sisters immediately appealed. The Third Circuit is scheduled to hear oral argument in May 2019. Becket has argued all along that the government has many ways to provide services to women who want them as well as protect the Little Sisters. Neither the federal government nor the state governments need nuns to help them give out contraceptives.